click her to see the VIDEO of the Opening Night at the National Gallery of Canada! 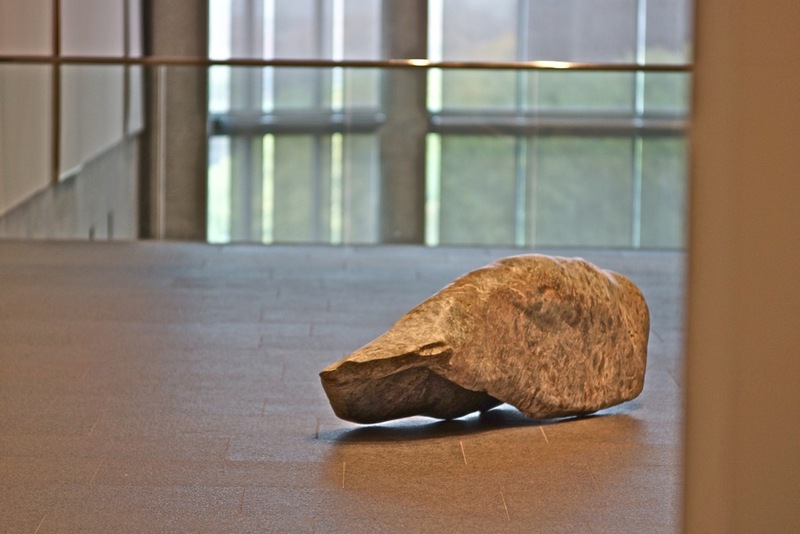 In Shadows for Humans Paschakarnis painstakingly carved three human-scale Cape Breton marble stones to create different amorphous reclining shapes that could be described as existing somewhere between bodies and matter. She then incised deep cuts along the length of the greyish purple stones to create the impression of folds, suggestive of layers of skin or even mollusks protruding from their shells. 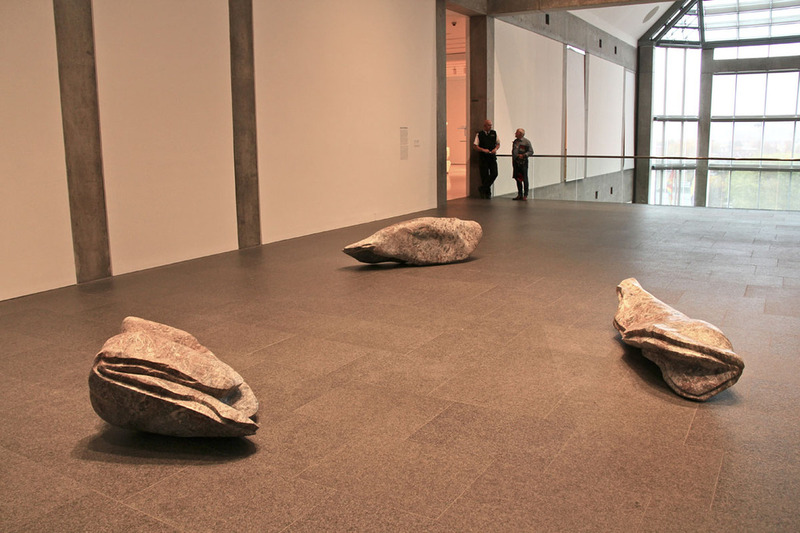 Although the sculptures are fixed and inert they give the impression of being animated, seemingly extending and retracting as one walks around them. Sculpted in a heavy material, they are frozen in time and space and yet appear malleable, even fleshy, as if they are continually morphing and moving. In an effort to preserve the nature of her materials the artist chooses to retain the traces and scars made by her tools while she carves the marble. She does this to reveal the history of their making and in order for the viewer to acknowledge that these objects were made and not found. The sculpted elements of Shadows for Humans evoke anthropomorphic figures or more accurately traces that they may have left behind. As suggested by the title, we are confronted with vestiges of bodies that have suffered degradation and loss, with forms that are mere shadows of what they once were. In an interesting contrast to this interpretation Paschakarnis conceives of shadows as compelling evidence of existence, describing that the moment an object projects a shadow it “is.” She adds: “shadows are more true to reality than reflections because they do not turn things around. 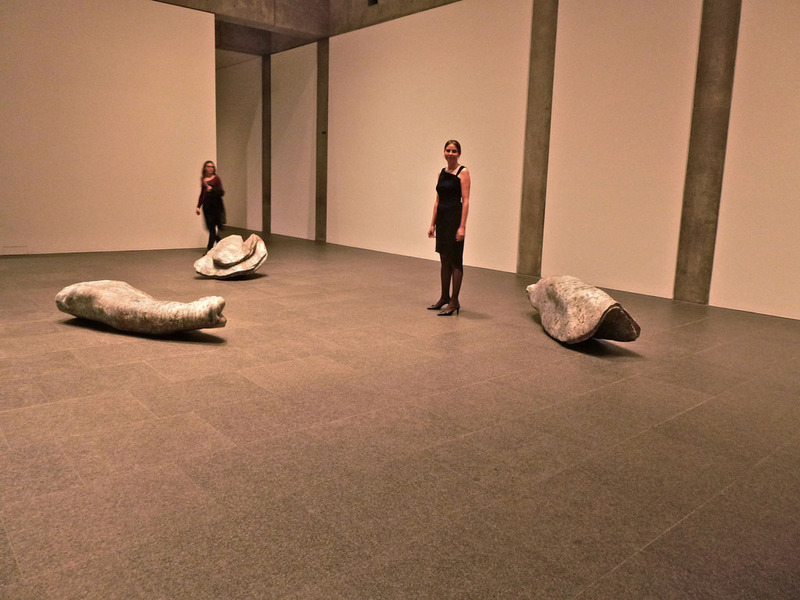 They reveal the other side, the duality of being.”2 The sculptures Shadows for Humans signify a physical presence, perhaps even an ominous one, as they simultaneously grapple with the intangible. Each form is unique and autonomous and encourages different associations for the viewer. 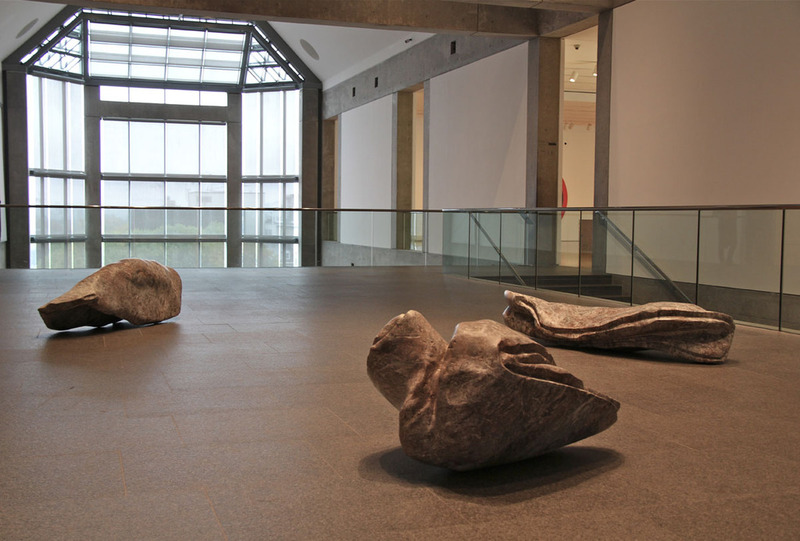 When displayed in close proximity the sculptures communicate with each other and could even be understood as representations of different moments or states in the transformation of the same subject. 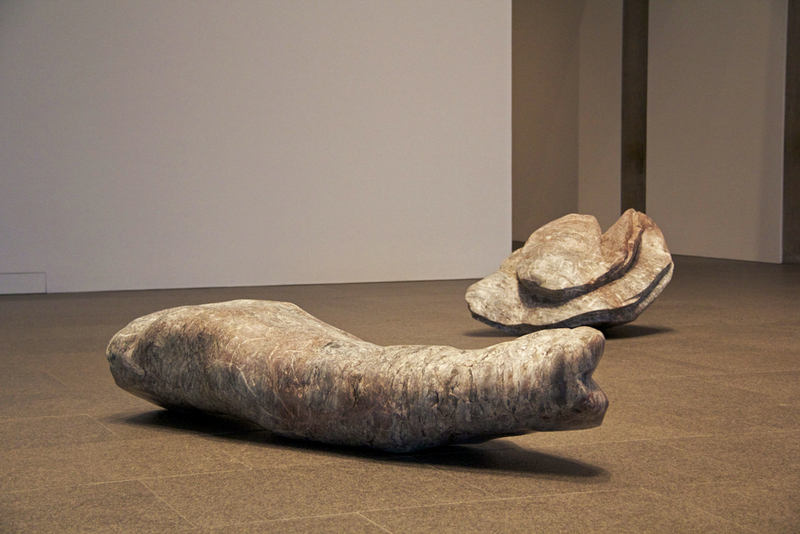 Through their existence and display Paschakarnis’ sculptures ask to be acknowledged, reflected upon and engaged with.